Gerbing's world renown, award winning, coreheat12 motorcycle jacket liner uses microwire heating pads with thermostats for even heat performance and safety. Our liners are designed to fit close to the body and easily under your outerwear so you can roll in your favorite riding gear, longer and in more conditions than ever before. Gerbing Core Heat 12 Power System: The Core Heat 12 thermovelocity system is powered by a simple connection to your vehicle's DC power system. 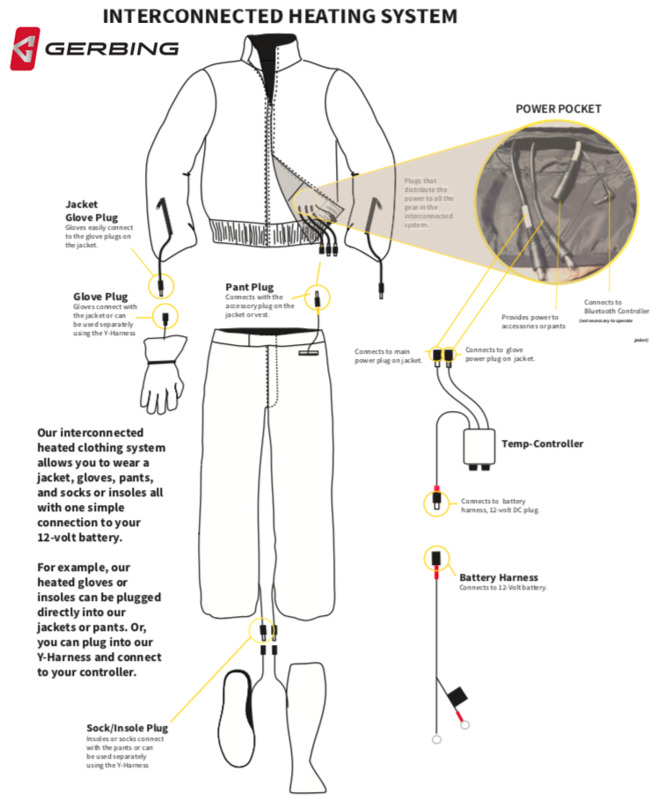 Core Heat 12 technology connects to your motorcycle, snowmobile, ATV, boat or even airplane to keep you warm at the temperature of speed.Gerbing Microwire Heating: The Microwire system is the most durable and efficient thermo-technology platform ever developed. Products incorporating Microwire technology utilizes patented micro-sized stainless steel fibers intertwined and encased in a proprietary waterproof coating. Gerbing Microwire technology will provide even heating for ultimate comfort.Gerbing 12V Products Include: Includes battery harness and fuses, essentially everything you need to power your Gerbing Core Heat 12 product. We recommend a Gerbing Temperature Controller for maximum comfort. The measuring process is very important and will help make sure you order the correct size. The tape measure should fit snugly against the body. Remember, any Gerbing liner is meant to be worn under outerwear clothing. Chest - Measure around the fullest area of the chest, holding tape firm and level. Hold arms out, place tape, drop arms and record measurement. 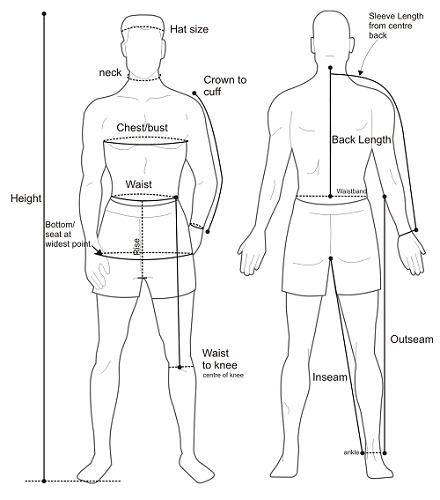 Waist - Measure loosely at your natural waistline, typically above your beltline and closer to your bellybutton. Hips - Measure around the fullest part of seat while standing and while sitting. Record the higher number. Outseam - Measure from the top of the waistband to the bottom of the ankle, remember pants and pant liners will lose some length when in the sitting or riding position. Sleeve Length - Measure from the top of the shoulder bone to the bottom of the wrist bone. Measure both arms as one arm may be longer than the other. Deserves a 5 star rating but had to repair the front material of the liner with some 'Tenacious' Tent Repair Tape(black). The liner material is TOUGH...but thin, as it should be for a 'liner', but something caustic spilled on the front & caused some 'cosmetic' damage so I had to repair it. Going into my 2nd winter with NO REGRETS with the investment. My Gerbing gloves get almost a high setting but the liner stays about 1/2 & am sometimes TOO toasty. An insulated long sleeve denim or flannel shirt is plenty of outer layer for these winters...so far. Yes, I would recommend. Prosgood sleeve to glove protection, thin enough for more outer options. ConsSags from controller weight in left 'pocket', inconvenient to control heat WITHOUT the remote wireless controller velcro'd to the tank or accessible location. Have to stay WELL away from ANY acid or caustic solutions. I truly got to use my heated liner this past week while riding in Colorado with freezing temps. I love it! Just like being wrapped in a really warm, cozy blanket. I also have the heated gloves. I don't have heated pants but wore long underwear under my jeans & chaps. The only thing cold on me were my feet. I'm female, 5'6", 125# - ordered the XS, & it's a tiny bit bulky under my jacket but not bad at all. ProsEasy to use with my heated gloves & dual controller. Heat distributes well. Comfortable. ConsNone, other than makes me want to buy heated pants, now. I called the website because I needed this ASAP I asked where they ship from they told me Philadelphia I asked if I could go and pick up they told me the store and warehouse was there. As I am close I drive there. 5 Star service very nice very helpful great people dealt with Sarah and Laura. 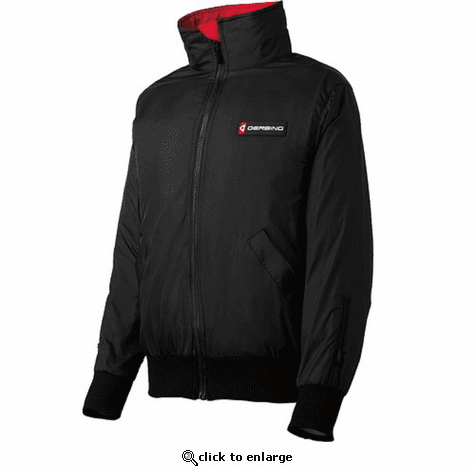 Will tell all my motorcycle friends as same jacket was $100 more at local Harley Davidson store. Will definitely go here or order from website if I need anything else. 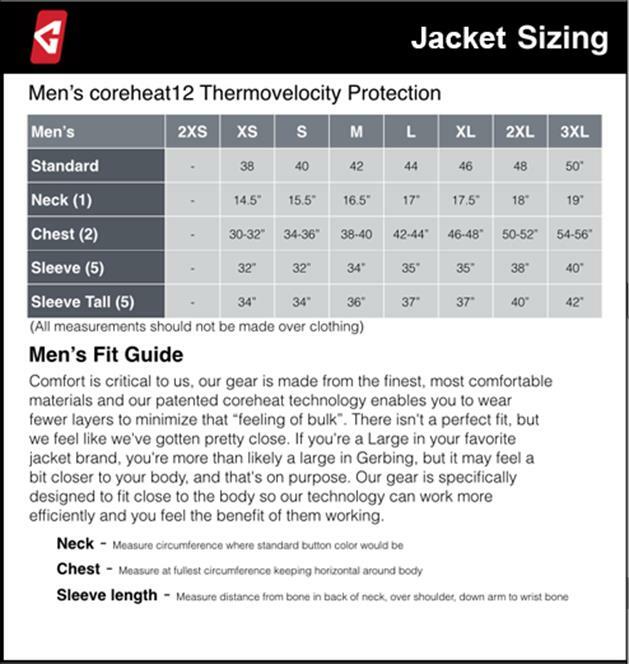 I wish I could find a nice heated jacket for women. This is just ill-fitting . Quality is what I wanted to go under my gorgeous new Artemis Klim suit.